Ideal for staircases and other typically dim areas - but not just for floors! Use Glow-in-the-Dark Tape to help people find their way when the lights unexpectedly go out. This multipurpose tape can be used on floors, stairways, walls, and any other locations that might be dim during a power outage. Glow-in-the-Dark Tape charges in under 30 minutes and will glow for 3+ hours, so people will have enough time to exit an area if necessary. Plus, installation is easy. Just peel off the backing and stick the tape to a clean, dry surface. 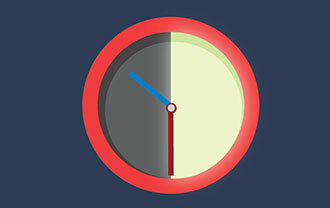 No need to worry about costly downtime. Both reflective floor tape and photoluminescent tape are essential safety tools for increasing awareness and preventing accidents that could injure employees in dark or dimly lit areas. Glow-in-the-Dark Tape is ready to do its job quickly, so it will glow when you need it to. 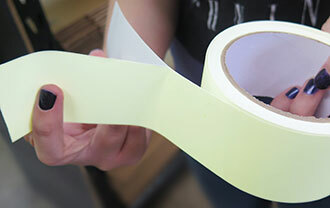 This tape's removable backing makes installation simple. Just peel the backing off and press the tape to the desired surface. I was surprised with how well this tape illuminated our loading dock. I was tempted to buy some for my house.